For a local business to hop to the top of the Google’s search listings, you need some great reviews and citations. They are like the breathing element of a local seo just like backlinks are to the traditional seo. When a Local Business has more reviews and citations, Google consider it a plus point and give it higher rankings than its competitors. Also, it appears in the pack of local listings that Google usually displays for many of the Geo-specific search queries. Many of you may not take it seriously but it really is a fact. In this guide, we have explained how you can get reviews for local business. In addition to that, we have also analyzed number of geo-specific search terms and found out that sites with the most number of reviews and citations usually rank on the top for nearly every search keyword around that business keyword. Not only that, we also noticed that those local businesses have a pretty good conversion rate. Of course, customers are likely to trust a business with more positive feedback on their services. The real challenge here being is that many businesses find it pretty difficult to get reviews and ratings. Well, if you are up to some fake or incentivised reviews for your website, just to improve your local search visibility, you might get badly screwed. Back in 2013, Google already warned many seo companies and businesses that were red handed caught publishing fake or incentivised reviews. During the same year, the New York’s attorney general investigated multiple businesses that were using fake reviews for local seo and heavily fined them. Some were even fined as much as $100,000. So, as a reputable seo firm, we strongly disagree from using fake reviews and citations. Here is a great tactic that can possibly encourage your customers to reviews your business on sites like Google+, Yelp and TripAdvisor. Any local business owner willing to rank higher, he must follow this simple guide for great conversions. This is yet the simplest way of getting a review. Ask your customer to leave a review as soon as they experience your service. But don’t ‘order’ them. Instead request or ask them if they are interested in leaving an honest review about your service. However, not every website will allow to ask customers for a review, however; those who allows can yield some great results for your business. For example, via TripAdvisor, you can ask your business customers to leave reviews. This also encourages the businesses to ask their customers and guests to leave reviews, but make sure that they are not fake or incentivized. In simple, you need to get a review from your customer and he must not, in any way, benefit from the review. Of course, a positive review is expected against a satisfied business service! Google also has policy where it wants businesses to encourage and keep on reminding their customers to leave reviews along with honest opinions. Paid reviews are usually banned and non-incentivized and free ones are highly encouraged. Some software like the GetFiverStars simplify the process of getting local reviews and citations for you. It simply integrates it to your internal customer feedback survey. So, instead of you asking your customers to leave a review, this software lets you email them and asking them for a review for the business for internal use. It gives a detailed summary of Net Promoter Score with some crucial retention metrics as well. Once your customer leaves the feedback it is automatically divided in multiple groups, usually based on their experience with your service. Those customers who have a great experience, are encouraged to also leave a review on other websites like Google+, Yelp and TripAdvisor. In simple, the whole process is automated. Getting reviews from your customers has never been so simple. Just think, you delivered the services to 20 customers in a month, the software automatically encourages them to leave a review and it gets published on one of the three sites? Even a few citations can add a lot to rankings. Of course, if you are running a local business it will have a social media presence, especially on Facebook. There is a huge potential from that audience as well. They are more likely to leave a review for your business. Though it is very rare that a client will like your Facebook page, still if there are a few hundred or thousands of them, always reach out to them and ask them to leave a review about your business. They can leave a feedback on the page as well, but it is better to get it on websites like Google+ and TripAdvisor. Hope this guide was helpful! You can hire us to rank your local business! Sometimes a small target can get a very tough competition. This is what we call seo! You may think that a local niche is very easy but it turns out to be way too difficult than your expectations. For the time being if we take some local niches in UK and in other parts of the world like cleaning services, solicitors, local dentists and other similar small businesses, they all are competing against one another for first page ranking on google. To be honest, these are pretty fierce niches to compete with. But, if you analyze your Local seo Competitors the right way, you can dig in the weak points and optimize your website with better local search terms. It is all about digging deep into your competitor’s listings, citations and links, and then reverse engineer them to outrank them. We know it sounds pretty messed up! For that reason, we have explained a proper process on analyzing the Local seo competitors. Even before starting the research part, you have to FIND your competitors. Think of the keywords in your Local Niche that your prospective customers are likely to use to find your business in the listings. So, if you are starting an seo campaign for a new dental clinic in any city, let say Manchester, you will start by optimization process. You have to check all the businesses you will be competing in the top search results. Citations and reviews are very helpful in local seo. You have to find your competitor’s reviews, their citations and listings as well. To do this, you can either use a paid software or do it manually. Simply Google your competitor’s brand name and check their review websites, address, phone number and directories. You can use Moz Local for spying the citations and discover more about them. You can also use Signup for scanning hundreds of directories and review websites and easily locate their listings, citations and reviews in no time. Save them all in a spreadsheet or Google Docs. When you start optimizing your own local business, you will build the same citations as on competitors site. When it comes to local seo there are two core things to consider. First is to optimize the site for Google’s three pack map listing. This is the reviews and citation part. The second is to optimize for the organic results. They appear below the Google’s map pack. You should analyze your competitor’s backlink profile using paid tools Majestic or Ahrefs. This will give you an idea on how to continue with your backlinking. Of course, we cannot replicate every link but it still helps in the long run. Finally, you being a new Local Business, it will be quite difficult to outrank your competitors because they have more reviews, links and citations. It can take you a hell lot of time to get to their level and build authority. With a proper on-page content on your local business website, you are always ahead of your competitors. When you optimize your site for on-page seo, you already put your site ahead of the local competitors. Once you have analyzed your competitor’s backlinks, the next thing is to check the on-page content. This can be done by firstly checking the target keyword which in our case is Dentists in Manchester. Check if they use it in page title in H1 and h2 tags and in the content as well. Also, you have to open their images and see if they are also optimized with the correct titles, filenames and alt text. All of these factors count in the on-page content of your local Business. Don’t forget to check your competitor’s top-ranking pages’ content. A recent data shows that long pages rank well in Google search results. You can easily outrank them if you create more and detailed content that is engaging and helpful for your readers. Though we believe that it is quite rare to outrank the local competitors in organic listings with just on-page alone, however; if you work on to improving your entire website’s content and follow the above-mentioned points, you can possible gain advantage when you’ll be building links and local citations for your business. Give us a Chance to Rank! Local seo is one of the toughest field! At the same time, it can drive some lucrative inbound leads to your business. It is only possible if you are sitting at the top. Beating your competitors with no prior experience can take your precious time and efforts. So, allow us to rank your local business in the top of search listings. Contact us today by email or phone! 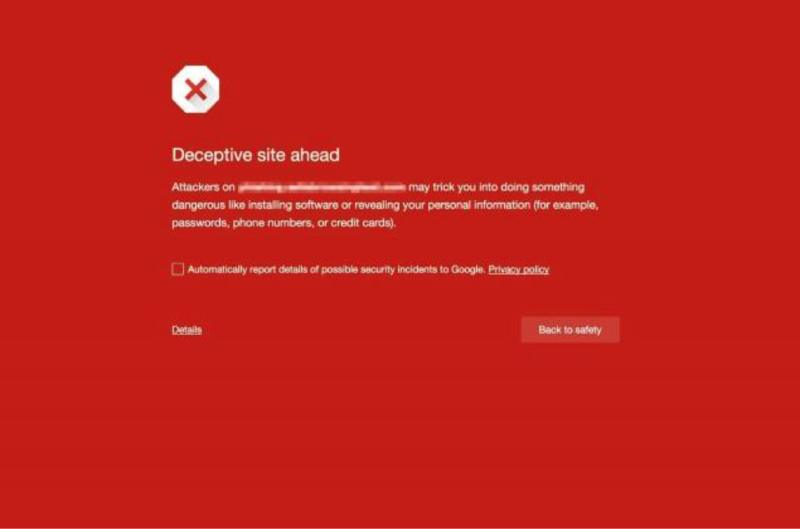 Google has officially confirmed that they will block all the sites that have misleading download buttons. Earlier this year they have confirmed to block the access of the sites with fake or misleading download buttons. They also said that they will lodge big warnings to site with similar content on their sites. A common example includes the social engineering ads. The website is trying to trick the users to do something that they’ll be doing only for a trusted entity. This can be sharing a password or calling tech support. The website is pretending to act or appear like a trusted entity and try to induce the user to try their own browser or the website itself. They’ll give a warning message like this before you can view the actual website. A few users of WebmasterWorld have shared a number of screenshots that shared some of the Google Adsense ads that appeared similar to the ads above. So, if any person’s site is flagged for having social engineering content, they’ll have to troubleshoot it with the Search Console in order to unflag it. Does Switching to HTTP 2 Affect my Website’s seo?